The Eden has dropped to a nice level with a bit of colour in it and the weather is overcast, dry and breezy. 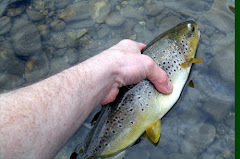 All the rain of the last 48hrs has found it's way into the Eden and left it unfishable with fly. If drowning worms is your thing , it should be perfect. The weather is dry and sunny at the moment. 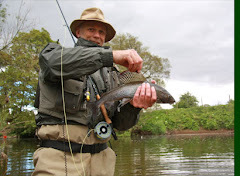 All yesterdays rain put a small amount of freshwater in the Eden but no great change. This morning the weather is dry with patchy cloud. Its raining and breezy but it hasn't affected the river level yet ,which is still low. Bit more of the same will do. Bright and sunny and the river is still low for this time of year. It's a bright hazy day and the Eden is still running low. The Eden is still running quite low for this time of year and the weather is dry and overcast. The river conditions are the same and the weather is dry and overcast. Another warm, bright day and the river is still running at a reasonable level considering there has been no rain for a while. The river conditions are clear and below the norm for this time of year and there is a cloudless, blue sky this morning. As John has said , lower , clear and a bright sunny day. Wall to wall blue sky will make things difficult (but not impossible) today. With no recent rain, the river will be getting pretty low and clear. At the minute it's flat calm so, at least, it will be a bit more comfortable to fish without the wind of the last few days. 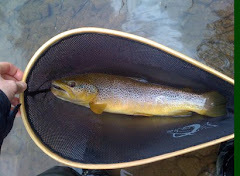 The river conditions are still good but the weather is not great. Its dry at the moment but there is a strong wind blowing. The weather is dry and overcast and the river conditions are fine. The weather is grey and cloudy with a few spots of rain and the river is still spot on. The river conditions are spot on and the weather is dry and a bit misty. The weather looks like it's going to be similar to yesterday and the river conditions are still good. Another dry and bright day in store. Not perhaps the best fishing conditions but nice to be out. River still running at a good level. Good river conditions and the weather is warmish, dry and cloudy at the moment. The river conditions are good and the weather is dry and misty at the moment. All the rain has found it's way in the Eden and has left it up a bit from the norm but running clear. 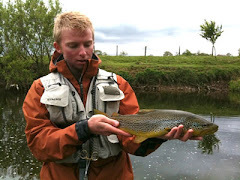 It will be fishable in spots, but some may be difficult downstream of the tributaries. Weather is breezy and showery. Horrible wet and windy day. The Eden has rose slightly and i would expect it to rise more yet. The river conditions are still good despite the rain and the weather is damp and a bit breezy with a bit more rain likely. The Eden is running as it has been for the last few days and the weather is dry and bright at the min. A bit drizzly this morn , hopefully it will burn away. The Eden is still running very nicely, get going ! Message from John :- His email is playing up at the min , so he sends his apologies to anyone trying to get in touch. Another warm, bright day in store. The Eden as you would expect is still running at a good level. Weather was good and so was river. Sorry, will remember tomorrow. Looks like its going to be a nice day, frosty and cold at the moment and the river is still spot on.